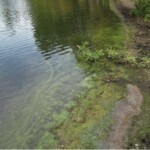 Algal blooms have been observed since the early 1900s in Green Lake, a popular urban lake in north Seattle. Cyanobacterial toxicity has been measured intermittently since the 1990s, and in 1999 Green Lake was closed to recreational use due to high levels of algal toxins. Lake use has since been restricted several times, including both 2013 and 2014. 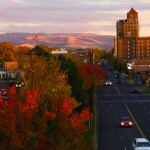 Join WALPA WALPA in Walla Walla for the October conference! And that’s not double talk! You are invited to the 2015 Washington Lakes Protection Association (WALPA) conference scheduled for October 26-28th at the Marcus Whitman Hotel in Walla Walla. Plan now to join your fellow lake lovers to share the latest in lake research and science and take a look back at the history of WALPA and lake management. Brush up your technical skills at pre-conference workshops on October 26th, followed by technical sessions on the 27th and 28th. Don’t forget the student poster session and raffle which will almost certainly include wine tasting options from the local vineyards. All of us who care about lakes know that the release of bacteria, nutrients, sediments, or oil to the watershed surrounding a lake can harm public health, the lake’s ecosystem, and the beauty of the lake. 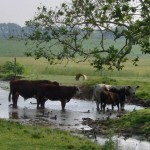 While “point sources” of pollution like industrial and municipal wastewater treatment plants and urban stormwater are regulated by Ecology through the National Pollutant Discharge Elimination System, “nonpoint sources,” present in most lake watersheds, also contribute significantly to water quality problems around the state. WALPA’s scholarship program is growing! The continued success of the silent and live auctions at the annual WALPA conference directly benefits our students and our broader community! The board is pleased to announce that WALPA’s two student scholarships (the Nancy Weller and Dave Lamb Memorial Scholarships) will increase to $1,500 each, and now include additional funds to cover registration and two nights’ accommodation for each recipient at the annual meeting. We are also excited to announce a new scholarship that will provide a lake association representative funds for registration and accommodation at the annual conference. Please thank and continue to support our sponsors and donors who make this program so successful — and encourage students and lake associations to apply for these funds. WALPA is now active on Twitter! Follow @WALPAorg for organization updates, regional news and interesting research on lakes and water quality. 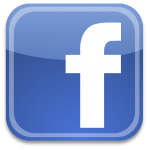 WALPA is also active on Facebook as Washington State Lake Protection Association – WALPA. Show your support and interact with us on social media to see cool photos and keep up to date on organizational news and environmental issues in our region. WALPA's scholarship program is growing!